Google earth map of my location. 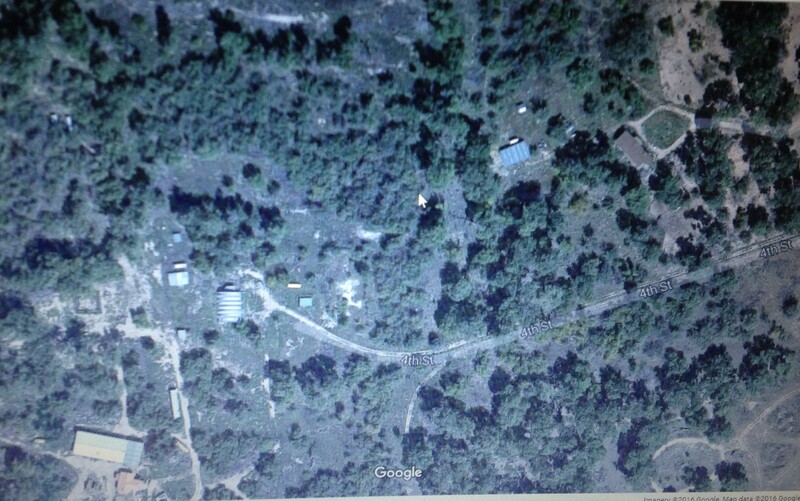 In the upper right is my house – the dark roof next to the circular drive. My barn is to the left with a gray (almost looks blue) roof. What is labeled 4th Street is really an easement along the south property line which my neighbors use to access their property. If you follow the easement there is a quonset hut at the end. This was converted into a house. Just west is the roof of my neighbor’s sheep pens. At the bottom left is a large rectangular building and just below that is a house. This is the property where the fire started. The next two photographs were taken off the website of an Albuquerque news station. The first is a picture of my neighbor’s property to give you an idea of how close the fire came to my property. And this shows the property where the fire began. 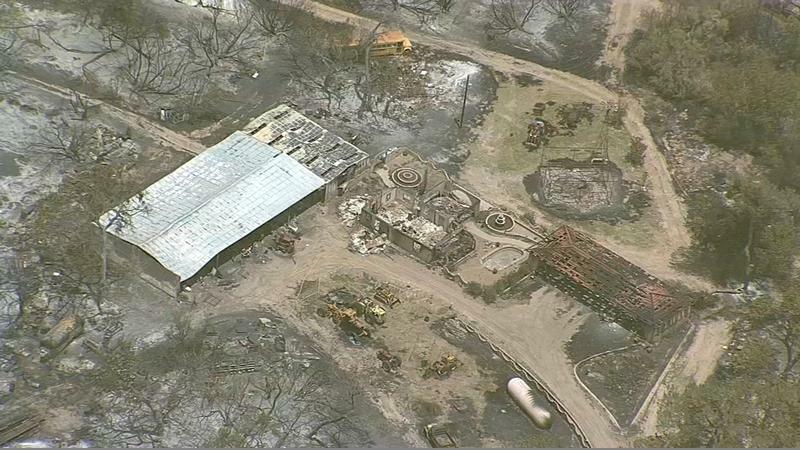 It isn’t rotated the same way as Google Earth but you can see what is left of the workshop and house. 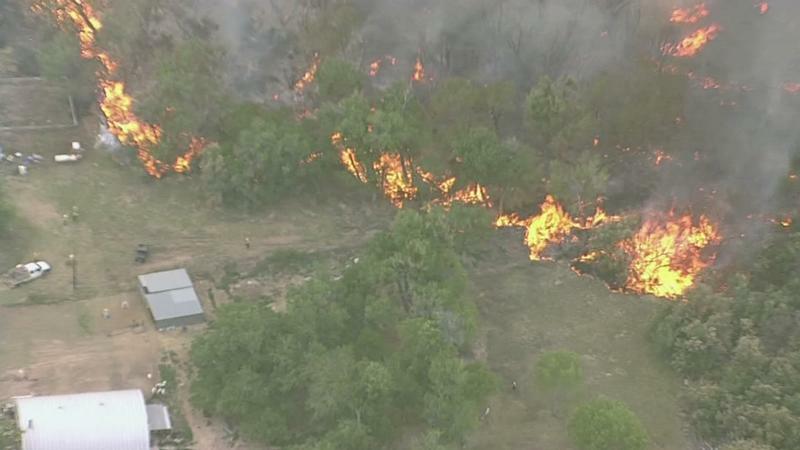 Inexplicably, when the fire jumped the fire break, it completely missed my property, and amazingly, when the wind shifted and the fire blew back, it again missed my property. As events unfolded, I did not need to evacuate my livestock. Power was restored within 24 hours and other than the smell of smoke, one could not tell there had been a fire by looking at my property. However, with the information available at the time, I decided leaving when I did was preferable to getting told I had to evacuate at 2 am and having to load animals into the trailer, in the dark, by myself. This entry was tagged Fire, Quibeyn Farm, weather. Bookmark the permalink. So lucky. Glad you were prepared and did the right thing by leaving early.